4” 6” 8” 10” round tiers. 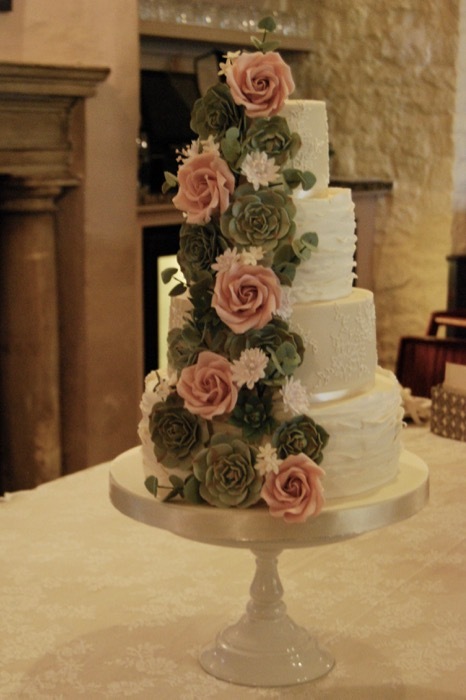 Alternate fondant textured tiers and royal icing piped lace design. 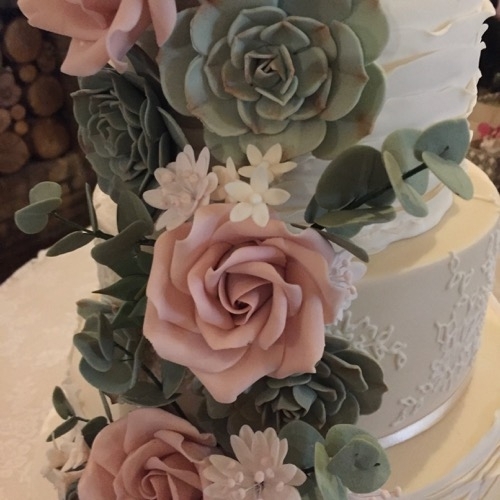 Handmade sugar roses, sedums, eucalyptus and filler flowers.